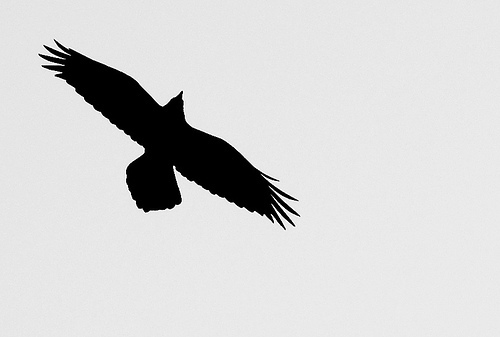 The Raven is a large crow with a very peculiar sound; a hoarse croaking noise, mostly heard high up in the air. The Raven has a large wedge-shaped tail. 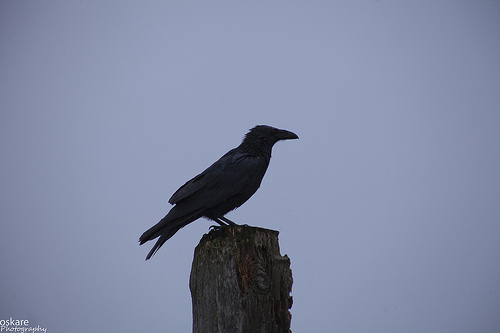 The Raven is much larger than the Carrion Crow. The Raven makes a hoarse, croaking noise.